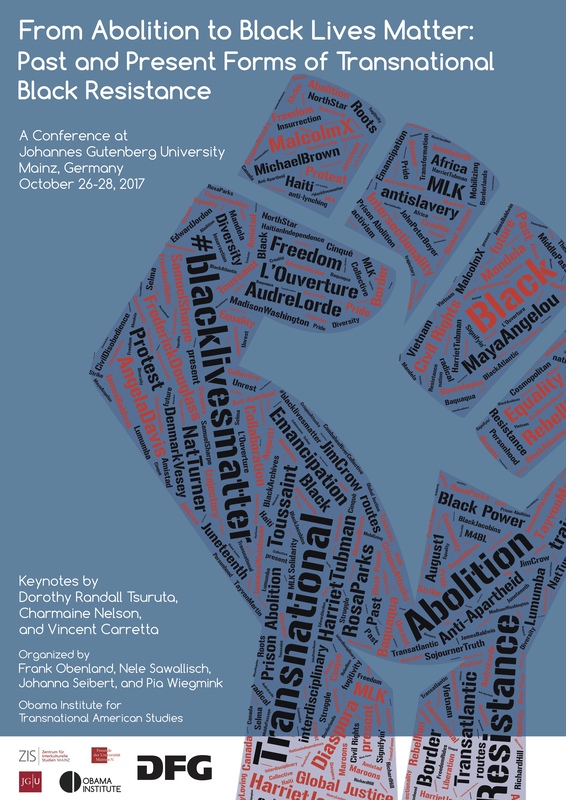 October 26-28, 2017, Johannes Gutenberg-University, Mainz, Germany. How do we conceptualize the connections between past and present forms of transnational black resistance? How does this relationship between the past and the present shape existing notions of resistance? How did national movements for black equality and justice impact as well as intersect with national and international forms of protest? How do forms of black resistance initiate ways to re-think forms of protest and activism outside the United States? What role have different media played in and for black resistance movements throughout the centuries not only in national but also international contexts? How have the digital world and global social media changed previous forms of transnational black resistance? What could be possible trajectories of movements such as Black Lives Matter in the face of the 2016 Presidential election in the United States? How do protest movements intersect with scholarly and intellectual pursuits in academia? How can scholars and activists collaborate in articulating critical interventions in ongoing political discussions?